By Community Chickens on May 25, 2013 Visit Community's Website. It was a proud moment for me a few weeks back. I, actually had to talk Zach out of buying chicks! I’m not sure if we’ve come full circle, each turning in opposite directions…not that Zach was ever really opposed to keeping chickens, but I can’t recall him being this enthusiastic. I, on the other hand am perfectly content with the amount of chickens we have this year. We don’t have a lot of roosters, and the breeds we have are very useful. They lay nice sized, beautifully colored eggs on a regular basis. The feed costs are manageable, as is clean up. 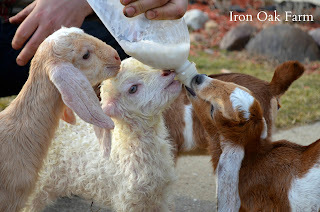 But for the most part, the reason I didn’t want to add any more chickens this year is because we’ve been over run with 5-very needy baby goats! We’ve been looking for Jersey Giants for a few years and haven’t had much luck. Then out of the blue, our feed store got a bunch in. They were hatchery birds, but at this point it was just encouraging to see the breed. After some light hearted debate, Zach agreed that we should continue with our pledge to have a chick-less spring. She’s really given up residence in the chicken coop, as many of our chickens have. And hangs out most of the time in the big barn with the goats. 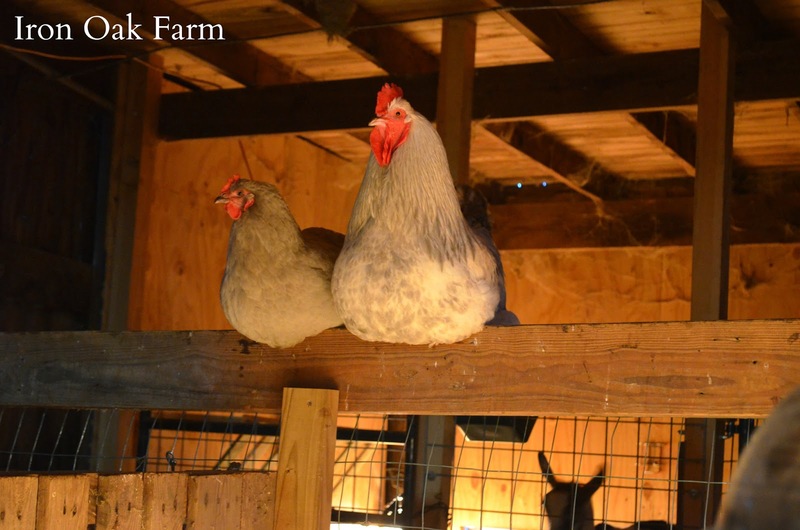 I noticed that she hadn’t taken roost next to our big Coronation Sussex rooster for a few nights, as they’d worked out a buddy system on the fence rail to sleep. I knew she was somewhere, sitting on eggs little stinker! But where? About a week went by and I heard her making dragon noises at our overly curious duck behind the table saw. But the problem now was that the eggs were a week along in development, maybe longer and I didn’t have the heart to chase her off this time. (Ugh…I’m such a softy!) So I moved her nest back to the now empty kidding stall and now we wait. At this point, they should be hatching any time. 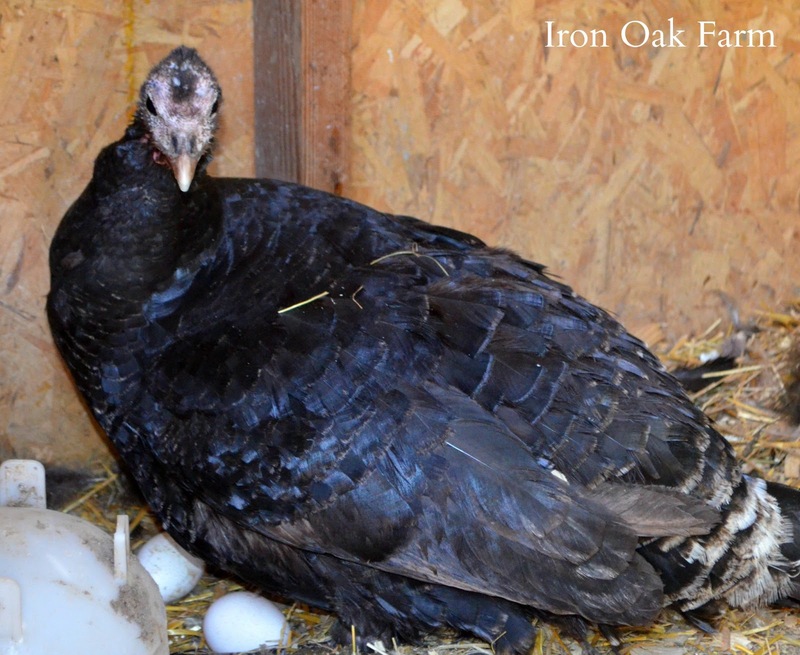 Since moving our first mamma to the empty kidding stall, our French Black Copper Maran has joined the maternity ward and is setting up a nest of her own. Once again, the farm wins! 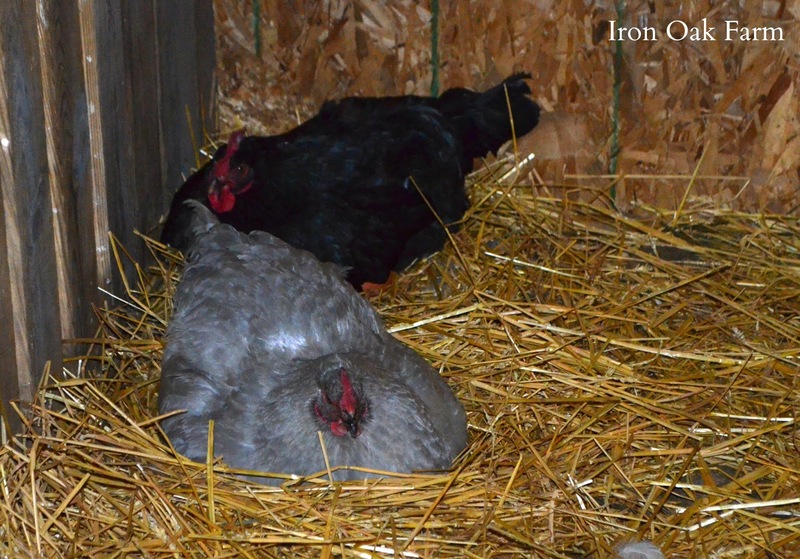 The broody bug must be contagious because our turkey hen has also set up a nest and is sitting on a good size clutch. This prospect I’m rather happy about. 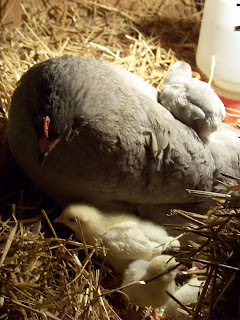 We did want more turkeys and I’m glad that the mother is willing to do the brooding and the rearing for us. Its funny how a farm can teach you how insignificant you really are to the continuance of things. I can’t even give myself credit for providing feed, as most of the chickens who have elected to live in the barn rarely make their way back to the coop’s open doors with the feeders filled with crumbles. They prefer to eat the grass and bugs, wild seeds and berries that scatter among our property. And they are just as fat and healthy, if not more-so, than the ones that veg-out in the coop. So whether we were planning for it or not, the farm regenerates itself. And even though it’s unexpected, we always welcome new life with enthusiasm and awe. I’ll post pics on the Community Chickens Facebook Page when the new little ones arrive. Aw, thanks so much! Our turkeys have picked a corner in the coop and lay in that corner. They didn’t really make much of a nest, just plopped the eggs down and are laying on them. They don’t have to roam, in fact many people keep their exercise limited for tender meat birds. Ours naturally learned to go back to the coop once we clipped their wings and they couldn’t perch on everything and anything lol! Good luck with your turkeys, they’re a fun animal to raise! I like this concept. I visited your blog for the first time. Keep posting as I am gonna come to read it everyday!! I think I remember reading something about someone having a blind chicken. One of my silkies is blind. I need some information on how to take care of her. I love seeing a Mother Hen and Little ones running around. Just something So Sweet about it.